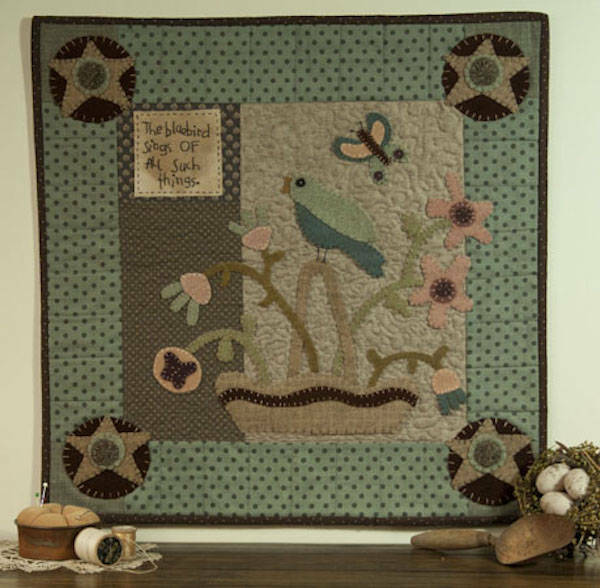 A wool appliqué wall quilt pattern called "The Bluebird Sings" by Briar Root Primitives. Get ready to make some fabric Yo-Yo's and add them to the corner stars on this quilt. This lovely wall quilt will offer a warm Springtime welcome.